To most Canadians, the introduction of technology to schools over the last decade has improved the quality of education and acquisition of hardware – both computers and infrastructure. StatsCan reports the national average is 15 – 20 students per computer, ranging from 21 students in Quebec to five students in the Yukon. However, the view that a computer in front of every child is the only measure of the successful integration of technology into K-12 education is rapidly fading in the face of research, further innovations and a growing recognition that simply tacking technology onto existing school systems and practices is not an effective approach. In a digital-driven, knowledge based economy, attention is turning to effective integration of technology into pedagogical practices in the schools. The potential of internet technologies is clearest as it is applied in innovative ways to distance learning. Rather than simply trying to recreate the classroom, new models for learning are being developed and refined. Across Canada, virtual learning opportunities are dismissing boundaries and meeting a growing demand. One such example is Edmontonâs Publicâs Argyll School, which serves 700 grade 1-12 students from as far afield as the oil patches of Saudia Arabia. The potential benefits of virtual schooling include: improved access, especially for remote or housebound students; computer proficiency through extended use; students learning to be more self-reliant; learning networks that transcend geography; increased flexibility in scheduling to accommodate different lifestyles; and more efficient use of resources in some cases. Virtual schooling offers students in special circumstances continued access to an education. Kentuckyâs Electronic Community School, for example, permits students who have been suspended or expelled to continue their studies via the internet. Internet communications offer the possibility of more dynamic connections among faculty, students, parents and the public. Most school districts claim that internal electronic mail systems provide many advantages and efficiencies. Taking this concept a step further, projects such as Marylandâs “Connected for Learning” program gives schools and parents full wireless access to voice, data and video technologies. Initial reports are positive, citing improved communication with parents and enhanced learning environments. Technology is also providing the opportunity for teachers to access peer support and professional development from colleagues around the world. Virtual communities of teaching professionals are forming on the internet, allowing teachers to share information about best practices, build curriculum collaboratively and share ideas. One such example of a virtual world-wide professional development community of teachers is TAPPED IN (http://www.tappedin.org). Teachers can enter an interactive website at any time and join in real-time discussions and/or participate in, or initiate other networking activities. At the school level, libraries are increasingly being converted into multi-media centres wired to the internet. Canadaâs School Net (http://www.schoolnet.ca/) is recognized as a world leader in educational networking. Its ambitious mandate is “to promote the effective use of information technology amongst Canadians by helping all schools and libraries connect to the Internet.” NASA has pioneered the use of space-age telecommunications to directly connect classrooms with leading edge researchers. Programs such as Passport to Knowledgeshare science content more current than found in textbooks through the use of broadcast TV, videotape, e-mail, the World Wide Web, and hands-on activities. Various approaches are tried to connect classrooms to the technological resources for learning, from scheduled use of school computer labs to incorporating multi-media stations into the classroom. There remains a concern that most of technology curriculum integration continues to occur mainly in the classrooms of interested teachers. There is some evidence that girls are not being engaged in technology to the same level as boys. A 1998 study by the American Association of University Women (AAUW) reports that while girls now typically outnumber boys in science and math classes, they are taking fewer technology classes than their male counterparts. 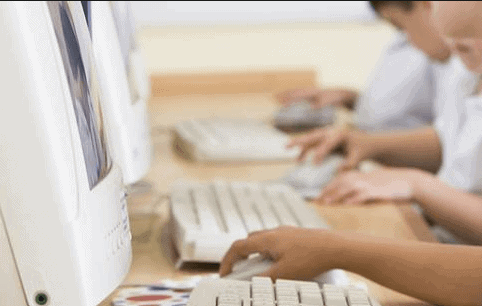 Schools in less affluent areas often have a lower ratio of computers to students. The U.S. Department of Education Star Schools Program meets some equity concerns by “serving under-served populations including the disadvantaged, illiterate, limited English Proficient and individuals with disabilities through the use of telecommunications.” Approximately two million learners have benefitted from this program since its inception in 1988. Technological change is rapid. Latent Semantic Analysis (LSA) is one of a new wave of advancements in educational technology having the potential to further transform education. This software has the ability to induce the relationship between word meaning and passages of text. The application potentials for K-12 education are immense. Such technological innovations highlight the need for public education systems that are responsive to change and ready to take full advantage of new opportunities to improve learning.